Scott Jurek succeeded in his goal of breaking the speed record for a supported thru-hike of the Appalachian Trail. He completed the 2,178-mile trail stretching between Georgia and Maine in 46 days, 8 hours, and 8 minutes. The previous overall speed record holder, Jennifer Pharr-Davis, will still be the fastest female thru-hiker with a time of 46 days, 11 hours, 20 minutes, a record she set in 2011. Jurek finished today on top of Mount Katahdin at 2:03 p.m. Eastern Time with his wife, Jenny, who provided support for the extended endurance feat. The 41-year-old professional ultrarunner from Boulder, Colorado is capping a long career including seven consecutive Western States 100 wins, two wins at the Badwater Ultramarathon, and three consecutive Spartathlon wins. During his journey, Jurek experienced a knee injury on Day 7, stifling heat and humidity in the mid-Atlantic states, the rainiest June in Vermont in 130 years, and challenging footing and steep climbs and descents in New Hampshire and Maine. He also found overwhelming assistance and graciousness from many people along the way. Many people were surprised that his speed-record attempt was done northbound–from Georgia to Maine–when Pharr-Davis and others had gone southbound. 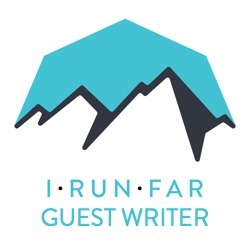 He told Andrew Thompson, the former men’s Appalachian Trail supported record holder and a pacer to Jurek in New Hampshire, that he wanted a “classic AT experience” with a finish on Katahdin. The first AT speed record was done northbound by David Horton in 1991. Another interesting aspect of Jurek’s accomplishment is that he is vegan. Carrying and eating enough energy-dense vegan food for such an endurance feat can be challenging, but Jurek has proven since 1999 it can be done. He is the author of the New York Times bestseller Eat and Run, a book about healthful eating and endurance sports. Despite never having been on the AT before, Jurek set a plan to average approximately 50 miles per day. From his start on May 27, to July 2nd when he arrived at the AMC Galehead Hut in New Hampshire’s White Mountains in the middle of the night, Jurek averaged 49.4 miles per day. He was slowed by the difficult terrain in his final days in New England, bettering the record by three hours and 12 minutes. Great job Scott and Jenny! That was a huge effort. Long trails are as different as ultras are to a road 10k. Good write-up and photos too. Great photos, so thrilled for both Scott and Jenny, what a way to retire with a mark! Good people. Not to say anybody who's done it before are not, but records are made to be broken, and I am ready to root for anyone who sets out to do their best, honest and clear, in public eye, which is so hard, and keep on pushing beyond what they thought they would have to. As he mentioned in one of his interviews, record was certainly the goal, but so was to inspire others do incredible things (paraphrasing). I know I am inspired. Hope he does write a book about it. So good, especially since he fell behind early in the attempt. In listening to Karl Meltzer's AT post-mortems, he said that once you're off-pace for the AT record, it's very difficult to get back on track. Ironically, KM spent a week on the trail this year helping team Jurek recover time. And it sounds like Meltzer is on for attempt #3 in 2016. I wonder if he'll try the south->north direction? Only fitting Scott seemed to finish during the Hardrock awards ceremony. A good weekend for a lot of good people all the way around!! Amazing guy & team! Congratulations! Wow. 2,178 miles. I don't even drive that far! It was great to follow Scott's journey on facebook and such. Super happy for him that he got the record! It also goes to show what an amazing thing Jennifer Pharr-Davis had pulled off when she set her record. It took one of the greatest runners of all times and a big crew to knock a few hours off. ^^ +1 to what runsnotsofar said. I have nothing but respect for Scott and his crew for an amazing accomplishment. But I think this is as much a statement for Pharr-Davis' record still being only a few hours off a well-known professional runner w/major sponsorships and a seasoned crew.